The benefits of hydrogen (H₂) were discovered centuries ago and used for medical purposes. Recently, this chemical element has become incredibly popular as an additive to drinking water known as “hydrogen water” for similar medical and health benefits. Advantages linked to consuming hydrogen-infused water include weight loss, increased energy, and a stronger immune system. Hydrogen can also neutralize and reduce oxidative damage in your cells, giving it the coveted antioxidant status. It can help maintain healthy cells and tissues and is safe to consume in water. 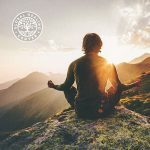 When I went on my 18-day water fast, I knew that hydrogen-rich water would give me the greatest benefits compared to regular purified or distilled water, especially considering that I wasn't taking in any food. Drinking water infused with hydrogen during my abstinence from food was a natural way to help nourish my body. 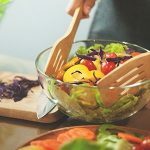 When I went on my 18-day water fast, I knew that hydrogen-rich water would give me the greatest benefits, considering a lack of substantial food in my daily diet. Going on a water fast can present a lack of convenience regarding your choice in water – especially where hydrogen water is concerned. Because of my active lifestyle, I opted for spring or distilled water as a substitute when hydrogen water wasn’t available. I found that I had the most energy, however, when I drank hydrogen water during my water fast. It’s a relief knowing that today, this form of water is so much more attainable. Water Fasting FAQ - What Is Hydrogen Water? Hydrogen is the most abundant element in the universe and is listed as number one on the periodic table. Stars, like our sun, consist primarily of this element. Hydrogen is colorless, odorless, tasteless and non-toxic, and can be found primarily in soil, water, and to a lesser degree, air. Because a hydrogen atom is so small, it can penetrate cells and deploy all of its benefits on a cellular level. Hydrogen water, hydrogen-enriched water, or hydrogenated water, is regular water (H₂O) that has been infused with hydrogen gas. This gas raises the concentration levels of molecular hydrogen in water for easy digestibility and immediate penetration in cells, which encourages overall health benefits. Hydrogen water – also called hydrogen-enriched water, hydrogen-infused water, or hydrogenated water – is just water infused with hydrogen gas. Many natural springs, now shut down, contained a higher concentration of hydrogen and were used for centuries to help heal certain illnesses. This healing ability is what may have prompted finding ways to infuse water with molecular hydrogen. Can I Make Hydrogen Water at Home? The short answer is yes – hydrogen water can be made at home. The most popular and least costly way to make homemade hydrogen water involves food-grade malic acid, magnesium rods, and filtered drinking water. You may have seen videos online or websites explaining how to make hydrogen water at home using magnesium rods and malic acid. The most popular and least costly ways involve food-grade malic acid, magnesium rods, and filtered drinking water. The rods and malic acid are usually obtained online. Recipes for hydrogen water using these ingredients vary, as does the concentration of hydrogen in the water; the goal being to reach a concentration of at least 2.6 parts per million (ppm) of hydrogen. Most people, however, feel that stronger health benefits are seen at more than 3 to 4 ppm. There have been problems with this method of homemade hydrogen water. Issues have arisen regarding H₂ concentration not meeting optimum levels, the availability and quality of the magnesium rods, and hydrogen pressure building up in the capped bottles. There are now pills available as a way to add hydrogen to bottled water, but they contain smaller concentrations of hydrogen and tend to be expensive. There is also bottled hydrogen water available for purchase as well as cans of water claiming to contain hydrogen. These bottles and cans tend to be expensive, and many don’t tell you the concentration of hydrogen you’re ingesting. On top of that, there is the environmental factor of purchasing plastic bottles. Instead of playing with homemade hydrogen water recipes that don’t guarantee a sure outcome, or constantly buying cans or bottles of hydrogen water, purchasing a machine that is proven to infuse water with molecular hydrogen is a good option. Although hydrogen water makers can be expensive, they may be worth the investment as no recipe is needed, they are better for the environment, and they last for years. When scientists determined that hydrogen water could support the health of cells and help reduce tissue damage, companies worldwide started manufacturing hydrogen water makers. Neutral-pH hydrogen water generators are designed to produce high concentrations of hydrogen gas for better health benefits. There are even portable hydrogen-infusing water bottles now available. Hydrogen water makers work using a process called electrolysis of water, or water electrolysis — the decomposition and separation of water into hydrogen and oxygen gas by way of an electric current. Machines use proton exchange membranes that create conductivity giving these machines the ability to produce H₂ in purified or distilled water. It is always best to steer away from tap water due to its high levels of toxicity. H2 water benefits are head and shoulders above alkaline water. Alkaline water is water that has a higher pH balance than ordinary water (which has a pH of 7, or neutral water). Alkaline water has fewer benefits than hydrogen water. A high pH level alkaline water may, however, have therapeutic advantages when it comes to reducing acid in the digestive tract as well as being a good acid-buffer for people with acid reflux issues. 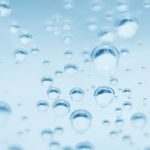 What Are the Health Benefits of Hydrogen Water? Hydrogen water may alleviate symptoms of various conditions and help restore health and vitality. The health benefits of water are extensive. However, drinking water infused with molecular hydrogen is shown to alleviate symptoms associated with many different illnesses and restore certain aspects of a person’s health. 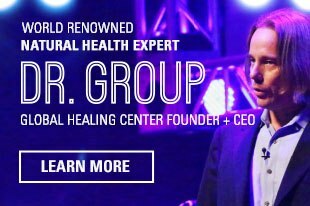 More than 700 studies have been conducted regarding molecular hydrogen and its therapeutic effects on health issues – including 170 studies done on humans with various illnesses. People with type 2 diabetes, for example, noticed their glucose levels normalize after receiving hydrogen water therapy. Researchers attribute this to the fact that the hydrogen atom is so tiny that it can immediately permeate cells. This ability can start a natural healing process that balances glucose levels. Studies have found that hydrogenated water can enter cellular membranes and function as an antioxidant in your cell’s mitochondria. This means that hydrogen water interacts with your body on a molecular level, bypassing the digestive process entirely. Unlike other antioxidants, hydrogen is not an electron donor, but rather a strategic antioxidant that only reacts with cell-damaging free radicals. Your body harbors a balance of different free radicals, some of which can be helpful towards maintaining your overall health. Molecular hydrogen scavenges harmful free radicals like hydroxyl radicals and superoxides, while leaving free radicals that help us sustain life untouched. Molecular hydrogen’s natural antioxidant and anti-inflammatory qualities make this element a great anti-aging tool. Telomeres are the caps at the end of each strand of DNA that protect our chromosomes, like the plastic tips at the end of a shoelace. In studies, water containing molecular hydrogen positively affected telomerase activity – a process that encourages healthier telomeres. The length and stability of telomeres are directly linked to the lifespan of a human cell, which makes it a useful biomarker for anti-aging practices. 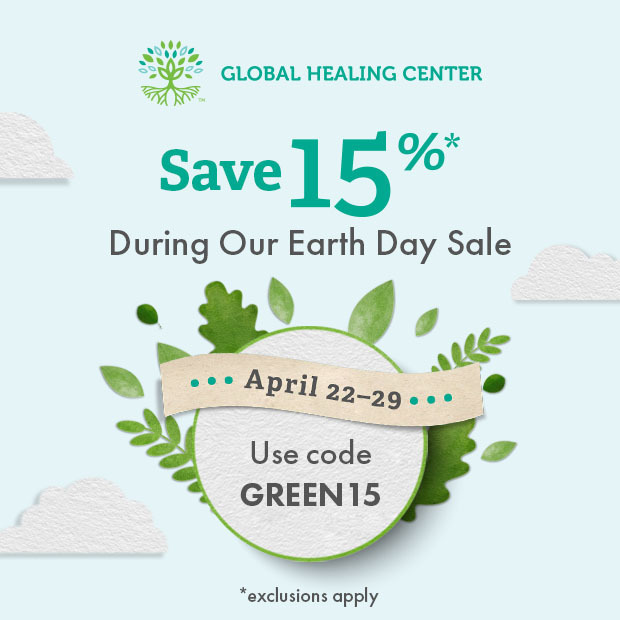 As you age, your cells accumulate cell damage, often from oxidative stress caused by lifelong exposure to the sun and toxic chemicals in the environment. Hydrogen-rich water can reduce cell damage caused by oxidation and reduce or inhibit inflammatory reactions. This is particularly true with bones and joints. In studies where patients with stiff joints were given 4-5 ppm of hydrogen-infused water daily for four weeks, oxidative stress lessened, and their symptoms improved. Hydrogen stimulates gastric leptin and ghrelin, hormones in the body that regulate fat storage, energy, and a number of other metabolic functions. Regular water usage on its own promotes hydration and gastrointestinal tract cleansing, but ingesting water infused with hydrogen can support better digestion and help with the breakdown of unwanted fat. 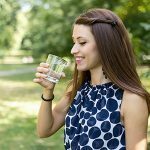 Research has shown that people who consume hydrogen water over a specified period of time saw improvements in weight loss and weight maintenance in people with metabolic syndrome. These results were attributed to hydrogen’s ability to reduce oxidative stress in cells, and its ability to optimize certain metabolic functions. Hydrogen-enriched water also helps to restore a healthy gut, and maintaining healthy gut bacteria is a significant contributor to overall wellness. Your body makes hydrogen gas in the gut during the digestion process. The typical Western diet, however, lacks the water-soluble fiber needed to break certain foods down to make hydrogen gas. Introducing this much-needed element through hydrogen-enriched water, along with a good probiotic, into your diet can help restore a healthy balance of gut bacteria and encourage or enhance healthy digestion in your gut. Sixty percent of your immune system is tied to gut health. Damage in the gastrointestinal tract can cause a number of health issues that can, in turn, affect other organs in your body. 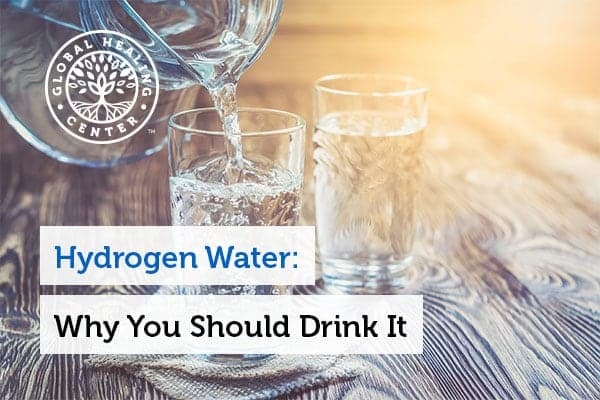 Hydrogen’s ability to help counteract toxins in the gut and increase the secretions of healthy hormones directly affects the body’s ability to fight off illness and infection. H₂ can give you energy in several ways because it can so quickly enter your cells and release its many benefits. Adenosine triphosphate, or ATP, is known as the energy currency of the cell. Once ATP is broken down to adenosine diphosphate (ADP), energy is released. This energy promotes all cellular activities. Since hydrogen can permeate cells and protect mitochondria – also known as the “powerhouse of the cell” – from oxidative stress, it can help increase ATP production and assist with routine cell maintenance. Molecular hydrogen can also stimulate the metabolic hormone FGF21. FGF21 is a liver hormone that increases cellular metabolism which helps with weight management and increases energy. Hydrogen also triggers all five complexes of the electron transport chain (ETC), which is the primary mechanism the mitochondria in your cells use to produce ATP, or energy. Are There Side Effects to Drinking Hydrogen Water? According to the U.S. Food and Drug Administration, hydrogen water is safe, even over long periods of time. 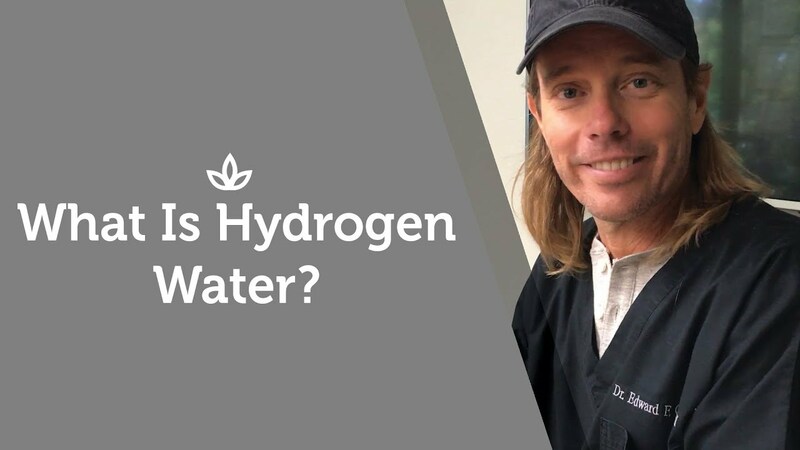 You may wonder, “is it safe to ingest hydrogen?” Water infused with molecular hydrogen has yielded many benefits with no major adverse effects. Studies have shown positive results after consuming water infused with hydrogen over a period of time, and according to the U.S. Food and Drug Administration, it is safe to ingest. Always use water that meets public water safety standards. Distilled or purified water usually meets or surpasses standards over regular filtered water. It’s always a good idea to ask your healthcare provider if hydrogen-infused water is something that will help you feel better or make you healthier on your journey towards overall wellness. Have you used hydrogen water? What was it about this type of water that made you want to try it? Did it help out an illness, or did it just boost your daily wellness? We’d love to hear your story. Please tell us about your experience in the comments section below.